Suomi.fi Services helps Finland go digital. 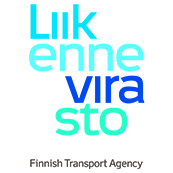 Suomi.fi Services is a digital service platform for both public and private organizations, built by the Population Register Centre of Finland. We explore ways to implement the ideas of MyData in the Finnish public sector and help organizations build more human-centered digital solutions. Main Partner of MyData 2017. Cozy is a personal private cloud and app platform which offers a great variety of apps while respecting the user’s privacy. At Cozy Cloud we believe in giving back the data to the individual and my MyData is the most important event in this space, so getting involved is a no brainer for us. MyLife Digital’s purpose is to protect the privacy and personal information of citizens using our Consentric Platform where organisations can manage consent of their end users. MyLife Digital would like to engage with like minded, thought leaders in the Personal Information Management space, to share ideas and raise awareness of our Consentric Platform. Tieto is the leading Nordic software and services company headquartered in Espoo, Finland, with around 14,000 experts in close to 20 countries. We believe the digital world will look very different in the near future. Tieto is actively involved in the MyData community to make that world more human-centric. Digital Health Revolution drives personalized, preventive, predictive and participatory solutions in future healthcare for the benefit of individuals, society and business. Digital Health Revolution is driving the development of MyData based health and wellbeing services and solutions and their implementation. THL is a research and development institute promoting health and welfare in Finland, serving the scientific community, actors in the field, decision-makers and the whole society. THL wants to promote the utilization of its massive open health data resources in MyData settings, to boost new thinking and innovations in health technology. Tilaajavastuu is helping companies to cope with authority obligations. Our mission is to enable fair competition and minimize the bureaucratic burden. Due our business we have a huge amount of sensitive information about companies and individuals. As we are in business of trust we want to improve society together with MyData. MyData is one of the emerging areas in our data-driven world. Affecto wants to be part of the group shaping the rules and uses for the data. Traffic and transport generates massive amounts of personal data. We are interested in the possibilities and challenges related to traffic data in the mydata context. Tekes is the most important publicly funded expert organisation for financing research, development and innovation in Finland. Benefiting from secured personal data is big thing for Finland and Tekes’ funding plays a major role in that. Nordea is the largest financial services group in Northern Europe with leading positions within corporate and institutional banking as well as retail banking and private banking. Nordea is exploring personal data management and MyData in the context of Open Banking (www.nordeaopenbanking.com) where Nordea is a front-runner in Europe. ContextSpace is a real-world solution that meets GDPR regulations to protect consumer and citizen security and privacy, via implementing scalable Mydata core concepts and services. The MyData concept provides the only realistic approach to protecting consumer and citizen privacy. ContextSpace supports the MyData approach via turn-key cloud platform. OneTrust is a leading privacy management software platform used by over 1,500 organisations to comply with data privacy regulations across jurisdictions, including the EU GDPR. OneTrust automate the operational tasks of privacy programmes, providing the tools for processing MyData. rights to privacy through initiatives like MyData. Gofore‘s expertise is in designing and developing digital services. Our mission is to make the world better through digitalisation and by revolutionalising work culture. Gofore believes that MyData-based public-private-parntership ecosystems are the only way for the citizen-centric society and prosperity for individuals and companies. IPRA Technologies Ltd, a software development company focused on encryption technology presents the EEZY KEYZ® end-to-end email encryption software for Android, iOS & Outlook. We believe every individual & business has the right to keep their communication & email data private. EEZY KEYZ® is designed to bring back good old postal privacy to digital era. Connected Health is a country-wide partnership between health related stakeholders in Estonia, who are accelerating connected health solutions, at scale. We are workng towards MyData solutions in health in Estonia and with partner countries. NJORD is a law firm with a Nordic profile and a global mindset. Our approach is to stay a few steps ahead which is essential when dealing with Data Protection. We advise clients within all aspects of Estonian, European, and international data protection regarding the processing of all types of personal data. By providing help in the legal matters, we contribute to innovation and creation of user friendly solutions. TEK aims to support its members in their careers and to promote professional competence, favorable innovation environment and a welfare society based on sustainable technology. TEK wants to be in the vanguard in utilizing data to further our objectives. MyData offers new innovative ways to support our members and creates business potential for companies. MyData 2017 is a place to meet stakeholders and raise awareness. The primary purpose of DTL is to give life to a new breed of transparency software. We have proven skills to design and deliver modern consumer big data and analytics systems on global enterprise scale with Nokia & Microsoft, now mixed with startup flexibility. Millisecond is developing Gravity profile service that revolutionizes how consumer manages use of their data and how it is commercialized between the consumer and companies. The Federation of Finnish Technology Industries promotes growth and competitiveness for the companies of the most important export in Finland. The Federation of Finnish Technology Industries sees the significance of MyData for its member companies and advances its business potential in a responsible and innovative way. Recon is an academic research program. We study and build blockchain pilots that disrupt business systems and reconfigure societies. For reconfiguring societies, MyData goes hand in hand with blockchain. We are building a Smart Health pilot. Reaktor is a hybrid partner for forward-thinking companies. We make future products and services, and help our clients adapt and remain ahead in an increasingly complex world. Reaktor helps its partners to design and create intelligent human-centric products and services that use personal data in a secure and sustainable way. MEF launched it’s Global Consumer Trust Initiative in 2011 looking at how the industry can create a sustainable and trusted ecosystem. Futurice designs and creates innovative digital services and helps clients develop their own business practices and culture to meet the challenges of the future. We want to build services for our customers that their customers can trust to utilise their data in a secure and ethical manner. Internet of Me is the publication for the personal data ecosystem, exploring how the information we generate every day is shaping the world around us, presenting us with fresh opportunities and new challenges. Reporting from the front line of this fast-growing economy, we speak to the innovators, entrepreneurs, industry players, thinkers and visionaries to discover what is happening now and what might be possible tomorrow. Through online, print and social media, Internet of Me is the focus for news, insight and intelligence for the industry and wider audiences.